Federal District Judge Jed Rakoff on Monday overturned a $33 million settlement between the SEC and Bank of America (NYSE:BAC), over bonuses paid to Merrill Lynch execs just before the Charlotte, NC-based bank took over Merrill, setting the stage for a trial next year. Last month BofA agreed to pay $33 million to settle SEC charges it misled investors about its authorizing the payment of $3.6 billion of bonuses to Merrill employees, without admitting any liability, which is a standard procedure of the agency’s settlements. In an order issued Monday, Judge Rakoff recognized the public interest in settling disputes rather than having them go to trial. Nonetheless, he wrote, “even upon applying the most deferential standard of review,” he was “forced to conclude that the proposed consent judgment is neither fair, nor reasonable, nor adequate” to protect the public interest. Judge Rakoff went further and in a blistering opinion, described the settlement as a cynical agreement between the regulator and regulated that was “not only unfair but unreasonable”. The judge’s center of criticism was focused on the fact that the fine in the case would be paid by the bank’s shareholder. “It does not comport with the most elementary notions of justice and morality, in that it proposes that the shareholders who were the victims of the bank’s alleged misconduct now pay the penalty for that misconduct,” the judge wrote. Judge Rakoff also said that BofA’s reliance on $45 billion in taxpayer funds raised the issue above the normal level of importance in cases brought by the SEC. 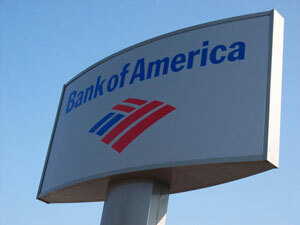 Bank of America has maintained in its filings with the judge that it did nothing wrong in its disclosures.